Boeing has made workplace safety a priority, and employees across the enterprise are helping the company meet its target of reducing workplace injury rates by 25 percent over five years. 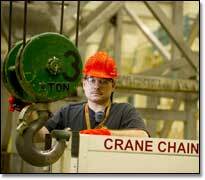 At the jet-making plant in Everett, Wash., the overhead crane team was challenged to come up with a way to reduce injuries and strains from hefting and carrying heavy metal chains. They did. In a wide-ranging interview with Frontiers, Dennis Muilenburg, president and CEO of Defense, Space & Security, talks about what’s ahead for the business and the strategy for moving forward globally and into new markets. Boeing has great people and a portfolio of products that’s best in the industry, he said, but it must also be more competitive and continue to grow core businesses. The more than 13,000 global employees of Boeing Fabrication make millions of parts for the company’s commercial jetliners -- and ensure parts are available when needed on the production line and for spares. Fabrication also is making sure the company is increasingly competitive while helping develop materials and processes for the airplanes of the future. 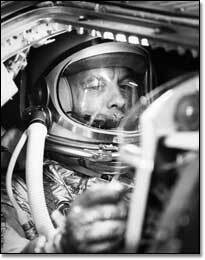 It’s been 50 years since the Alan Shepard Jr. climbed into a Mercury capsule built by McDonnell Aircraft and became the first U.S. astronaut to go into space. Some of the best and brightest at Boeing, Technical Fellows share their knowledge and experience to solve tough technical challenges -- and inspire young people to study science, engineering, technology and math. Boeing cafeterias have been implementing environmentally progressive processes into daily operations, such as recycling, composting of food waste and the elimination of plastic-foam dining materials. 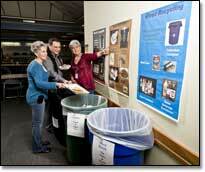 The changes are not only good for the environment but also important to diners.